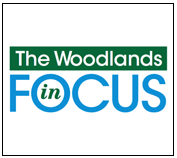 The Woodlands In Focus was created for residents who realize this is a community at a crossroads. Tens of thousands of us were drawn here because of the vision and promise of the master planned community first dedicated by George Mitchell in 1974. It's clear that longtime residents and those who are more recent arrivals share one straightforward concern: “Where is The Woodlands headed as a community?” Our children and grandchildren will depend on all of us making informed decisions about our homes, commercial space, transportation, and our environment. But it's impossible to know where you're going if you don't understand exactly where you’ve been. That’s why The Woodlands in Focus is here to give you the facts about Mitchell’s original vision, explain how it has evolved over the years, and to provide a forum for robust discussion about living in what we believe is the best place in America: The Woodlands, Texas.